Jesus said that if we hate a person we have already committed murder in our hearts. There are far too many of us who need to ask for forgiveness for carrying murder in our hearts. As Christians we are asked to love without limits, and to be bearers of grace and reconciliation in every situation. 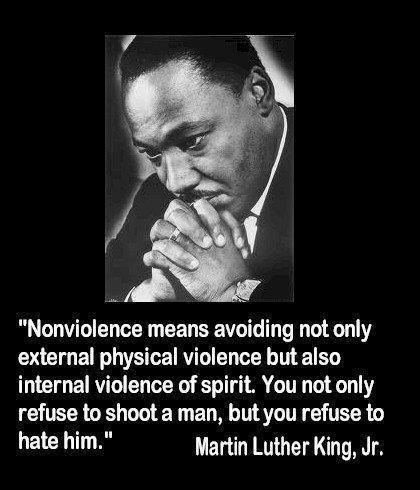 We need nonviolent spirits. We need the peace of Christ in our hearts. This entry was posted in Hunger & Poverty, News & Views, Quotes and tagged choice, Christ, Christian, grace, hate, heart, Jesus, lifestyle, love, Martin Luther King, mind, murder, nonviolence, peace, physical, physical violence, quote, reconciliation, spirit on November 21, 2016 by Ray Buchanan. Here’s a powerful and timely message for all of us. There’s precious few of us who do not stand in need of healing. And here is a perfect prescription. As this little nugget so succinctly points out, we need to play more, to laugh more, and fill our life with more joy. And unlike most prescriptions, this one is absolutely free. This entry was posted in Quotes, Spirituality & Religious Writings and tagged body, healing, joy, laughter, lesson, mind, play, prescription, relaxation, spirit on September 27, 2016 by Ray Buchanan. Being a target for speaking an unpleasant or disturbing truth is one of those things that never changes. 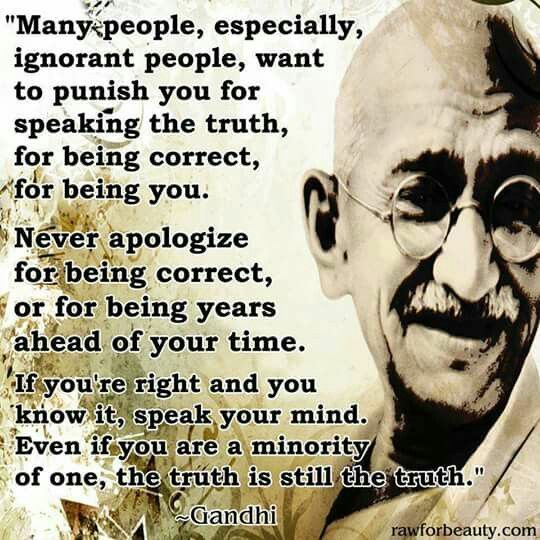 Too few in our society have the courage to speak the truth when that truth goes against popular sentiment. All of us can learn from Gandhi. The truth is still the truth, even when it’s unpopular or even ridiculed. And no one ever needs to apologize for speaking the truth in love. This entry was posted in Facts & Statistics, Hunger & Poverty, Quotes and tagged apology, correct, Gandhi, ignorance, love, mind, minority, popular sentiment, punishment, society, truth on April 29, 2015 by Ray Buchanan.